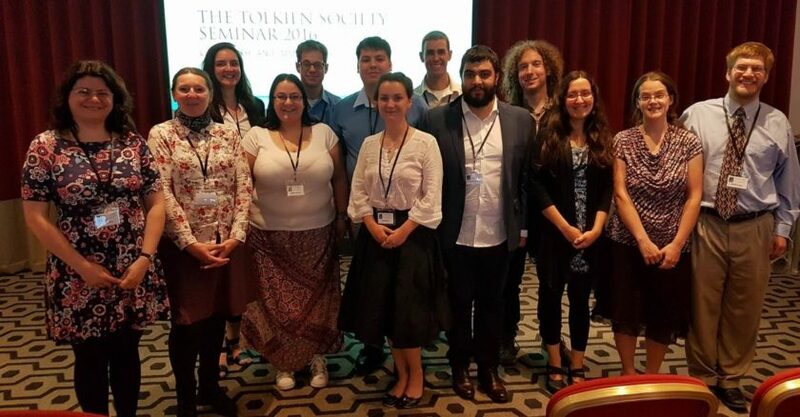 The Tolkien Society Seminar 2017 is a full-day of academic of talks and panel discussions on the theme of Poetry and Song in Tolkien’s works. It comes in the wake of the recent publication of the poetical Lay of Aotrou and Itroun and forthcoming Beren and Lúthien. The date of the Seminar has been chosen to coincide with the Leeds International Medieval Congress, which runs 3–6 July. This year the IMC features an unprecedented number of talks and panels on Tolkien. For further information, please visit the IMC 2017 website. Dimitra Fimi Tolkien and Breton poetry: What layers lie behind Tolkien’s lays? An informal innmoot – a visit to a local pub – will be held on the Saturday evening from 18:00 at the Scarborough Hotel. The Seminar itself will begin with registration from 9:00 on the Sunday morning, and the first paper will commence at 9:30. The day will come to a close at around 17:00. Bookings can be made online. Registration costs £25 for members and £30 for non-members. Registration includes refreshments throughout the day, catered breaks and sandwiches for lunch. By booking for the Seminar you agree to the events terms and conditions.